We have added an E-learning space for the EMPIR PhotIND project on Metrology for the photonics industry – optical fibres, waveguides and applications. Please click on the links in Section Project Results for the E-learning resources. The survey is intended for industrial partners, collaborators and the wider stakeholder community of the European Photonics Industry Consortium (EPIC). Your feedback is important for us to plan further exploitation and dissemination of the project outcomes. It will take only a few minutes (6 multiple-choice questions + your contact details). Results of the survey will be presented anonymously (without the evaluators name and company). Thank you in advance for your support of the JRP PhotInd project. The Final project meeting will be held on 26th – 27th of June 2018 in Prague, Czech Republic. Meeting starts on Tuesday 26 June 2018 at 9:00 am CET. Our presentations from the last Stakeholder Meeting in Bern, Switzerland (5th October 2017) are available at the Stakeholder Area of the website. The next Progress Meeting (27M) will take place at METAS, Bern, Switzerland. Leaders of the project research activities presented the progress of the project achieved since last 18 months. The stakeholder feedback helps us to develop solutions and recommendations in line with their requirements. Presentations form the stakeholder meeting are available in the Stakeholder Area of the webpage. 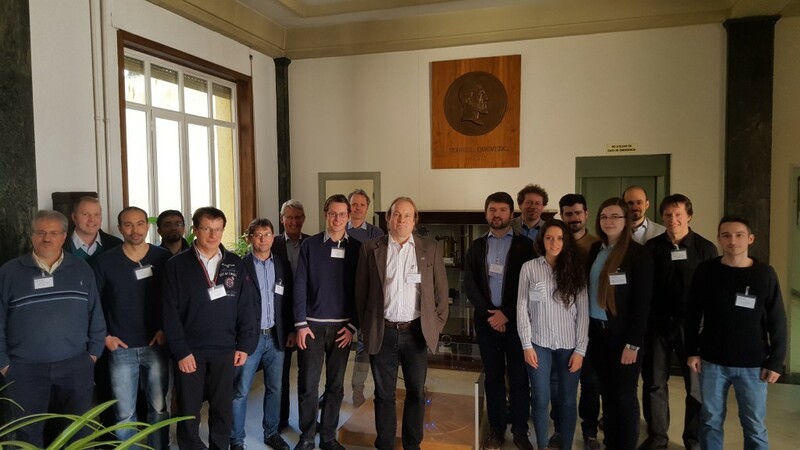 The 2nd Progress Meeting (18M) took place at CSIC, Madrid, Spain, on 25-26th January 2017. The conference will combine the following three major international conferences, which widely covers in the field of “Photonics” from devices to systems and networks. This mega conference brings together international leading researchers, scientists and engineers who are actively working in lasers and their applications, nanophotonics, metamaterial, biophotonics, plasmonics, optical devices, optical transmission and optical networking, optical fibers, optical switching system and related technologies. The conference will provide a platform for international academics, researchers, practitioners and students working in the photonics areas to discuss new developments, concepts and practices, and to identify synergies in research directions that will lead to broader and deeper applications of photonics.